Official Product Of Ultimate Arms Gear, Brand New. Car Seat Organizer is perfect for people who share vehicles because it can store everything at your fingertips, and then be moved quickly to facilitate other drivers. Helps you move your gear from the car to the station without missing a beat with this handy car seat organizer. 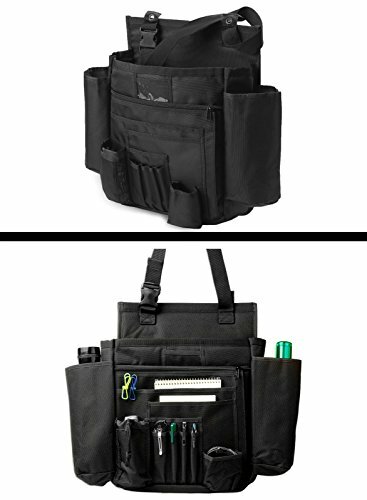 Divided rear section gives you plenty of space for your files, front section gives you storage for cards,pens and cell phone, front zipper compartment allows storage of smaller items.Features a cooler in the center three sided zipper section. Sits directly on your seat with tuck-in straps to secure it. A Quick & Simple Way To Keep All Your Gear in One Place and Easily Transport It Between Vehicles and Locations. Center Zipper Section is A Cooler to Help Keep your Perishable Food/Drink Items Safe. Divided Sections help Organize from Paper Files to Small Pens, Cards & Phones. Front Zipper Compartment Allows Small Item Storage. Straps to Secure Organizer Directly on your Seat. Dimensions: 14" Width x 12.5" Diameter x 8.5" Height (inches). Designed from Heavy Duty Polyester.